During the summer, the hot sun can turn an otherwise-comfortable house into a sauna if the house isn’t adequately insulated from radiant heat of this kind, especially in the attic. In an uninsulated house, heat travels from warm areas to cool areas – like from the summery outside environment into your attic. Your average batt insulation works to combat this effect by slowing down the pace at which radiant heat is transferred into your attic, but I recommend installing additional radiant heat barriers to bolster this line of defense. Radiant heat barriers can help keep your attic cool on a hot summer day. A radiant heat barrier is usually made from a roll of specialized paper with a foil backing (to describe it in the simplest way possible). This paper is easy on your pockets, costing less than $200 for the highest quality on the market, and it’s quick and easy to install yourself, saving you the cost of bringing in a contractor to complete this task. All you need to install a radiant heat barrier is a roll of the special paper and a staple gun. 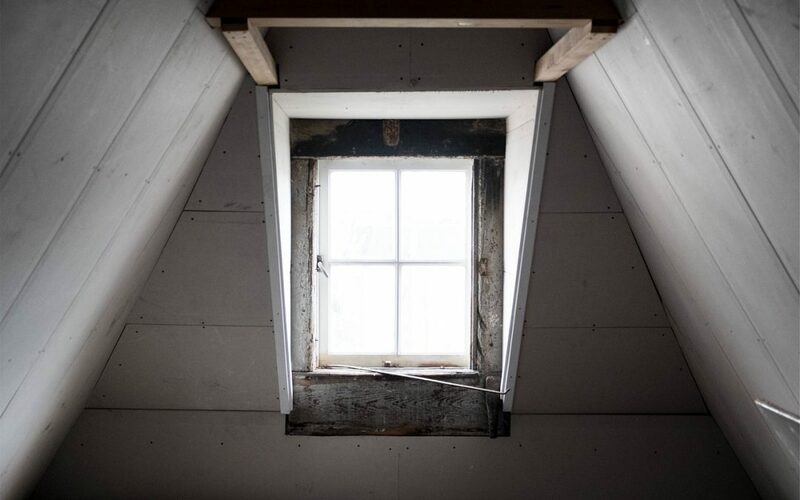 Simply staple it between your roof rafters to ensure that the sun’s heat will be reflected back outside of your house – but make sure to install it with the foil facing outwards, thereby reducing heat transfer to your attic. It’s also important to install the paper so that the material sags between the rafters and away from the roof deck – about an inch or so of room to sag will create a small air space in which heat can be absorbed. If you’re building a new house, you can also easily install a radiant heat barrier in your walls in addition to your attic, making the house better insulated from outside temperatures and cutting down on your electrical bills during the hot summer months. For more on Radiant Heat Barriers, check out Amazon (this kind is a good one that I recommend) and other websites on the internet to find the best bang for your buck. As always, feel free to reach out to me via the contact form on this website for more advice, and stay tuned to this space for more posts about how to turn your house into your home!